So it’s high time to bring to the fore an important project that’s been on our list over here at Club 4X4 HQ for far too long. Most of you reading this will know that one of the most compelling and valuable benefits in our Comprehensive Motor Insurance product is our Off-Road Recovery Cover. So much so that it’s imitated: other insurers and brokers try to say they have it on their websites and brochures, social pundits on Facebook incorrectly bang away at well-worn keyboards saying “my insurer told me I have and it and from anywhere…”. Believe me – NO ONE in the market has this product: period. But the purpose of this article is not to clue you up on this – if you want to know more you can read about that here. For some time we’ve been compiling a list of the various towing/recovery specialists across the countryside who would be a resource should you need to have a remote recovery undertaken. Not one who likes to do things in halves, I didn’t want to release anything unless I knew it was as complete as possible. The other concern is that the product we offer doesn’t promise recovery, it promises financial recompense for the recovery that you organise. As such it’s a fine line making recommendations or even finding ourselves in a situation where we cannot recommend anyone because we don’t know anyone in the area. But today I’ve bitten the bullet, particularly after some feedback over the last week or so. So, this is where you experiences and expertise come into play you can help us build on our list by commenting below with the recovery agents you know of or have used in the past. 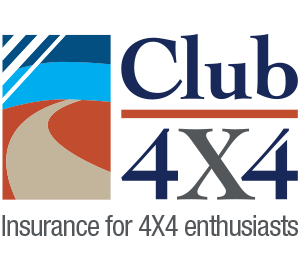 If you’re a recovery agent yourself – send an email to contactus@club4x4.com.au and attention your email to me and we can talk more. I am relying on the little community we have here to help me complete this important list and your input will benefit everyone in the long run – whether you have coverage with Club 4X4 or not this will be an important resource for ALL four wheel drivers and I want to get it right. Happy Touring and cheers in advance for helping out your community! In Perth Metropolitan area for your breakdown service or Accident Towing get onto Quality Towing. Not a pack of vultures waiting on the side of the road for an accident to happen. Towing industry here is not regulated and many companies will charge in excess of $1000 for an accident scene tow Arrange a deal with Quality and it will be heaps cheaper. Hi Basil – i just tried and didn’t have an issue – what’s your email address – will gladly add you. I know the guys at Roebourne Dingo Hire do a lot of great recovery and towing up in the Pilbara. This is a fantastic idea. I have been fortunate and never required off road recovery so can’t suggest anyone. However, I do hope everyone else jumps on board. Congratulations on a great idea and I do hope everyone makes the most of it by adding to the list. I have club4x4 insurance, and looking at picture of recovery vehicle in advertisement and I’m not sure that my vehicle would fit on it, which is of a concern to me; my 6×6 Aust BT50 is 4335mm centre front axle to centre rear axle, it is 5380mm front of bull bar to centre rear axle, it is 6800mm total length. I’d like a call from club 4×4 to discuss this please. We don’t own that recovery vehicle and we don’t offer a recovery service. We offer to refund you the costs of a recovery that you need to organise. I would like a list of recovery agents I just rolled my camper van about 10 days ago lucky I was able to get it back on it’s wheels not much damage but I wouldn’t know who to ring if I was stranded. which company’s will recover us in all states . Thornlie Towing is one of the few companies in WA who offer a 4WD recovery service and have the required DRA permits. We also provide recovery services to Rally WA and the WA round of the Australian Rally Championship. We have been called upon to recover vehicles in places considered impossible such as sink holes on reefs (without further damaging the reef). We are also one of the two companies in WA (the other is AAAC) who are actively working to regulate the towing industry. We specialize in an area roughly 1000km diameter from Perth. Fenwicks Towing in Newcastle came and rescued my truck from a bad roll in the wilds of Chichester State Forest. These guys are off-road recovery professionals. Really impressed. 4WD Rescue & Recovery specialize only in 4wd recovery and our operators are fully trained as such. With over 1,000 recoveries to date our qualifications are surely proven! Our vehicles are equipped to handle almost anything even the odd Boat or truck! We are a registered business and have been for over 7 years now. 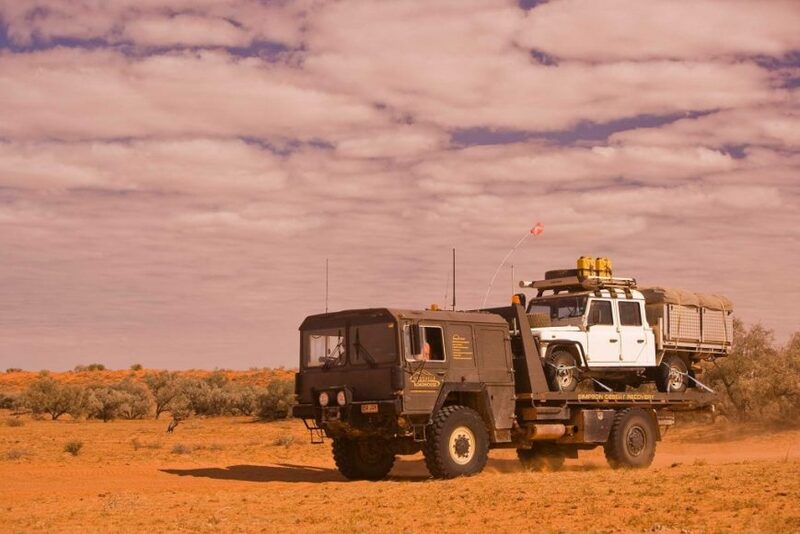 We cater for all types of off road recovery in Perth and surrounds from Leeman to Mandurah. We have contracted for other insures such as RAC Insurance, Alianz, Shannons, Youi etc. Claytons towing on the Sunshine Coast here in Queensland specialize in alltypes of recovery , includind beach recoverys on Fraser island . I’ve had to use The guys from the Heyfield RACV depot for recovery of a Prado with busted rear pinion gear and off-road camper from the Vic High Country. I would use them again if I ever needed too. Touch wood I don’t. Tin Can Bay Area call Rainbow Beach Towing. 07 5486 8555. http://rainbowbeachtowing.com.au/ Never had to use them but have seen them recover heaps of vehicles at Mudlow Rocks as well as Inskip point. Hi guys, I was recently stuck with no drive 150k north of Tennant Creek Adam from Jacal Tint & Automotive in Tennant Creek ph 08 8962 1881 or 0418 865 206 will sort you out. Thanks Club 4×4 you made it easy!! The NRMA guy from Broken Hill recovered our car and van when we broke down in Menindee, even lent us his ute so we could get the van into a caravan park while he fixed the car. Great service. Hi Guys. Perhaps speak with the various distributors of 4×4’s in Australia. EG. Ford, Nissan etc as they may be able to guide you along with their roadside assistance programmes or link up some way to offer a better roadside product to the manufacturers. Who knows, could be a great opportunity for you to sell your insurance products in this space also. A few years ago my friend broke down in Chambers Gorge. The only recovery service who would come to where we were was HAWKER MOTORS RECOVERY SERVICE. There may be others available now.